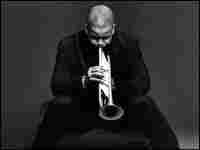 Trumpeter Terence Blanchard Performs Live in 4A Born and raised among the jazz greats of New Orleans, renowned trumpeter Terence Blanchard captured the city's devastation in his film score for Spike Lee's When the Levees Broke. He discusses his latest project, A Tale of God's Will (a requiem for Katrina). Blanchard's latest CD is A Tale of God's Will (a requiem for Katrina). 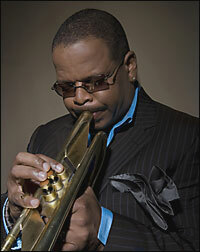 Born and raised among the jazz greats of New Orleans, trumpeter Terence Blanchard honed his skills in the early 80s when he replaced Wynton Marsalis on trumpet for Art Blakey's Jazz Messengers. Last year, Blanchard captured the devastation of his hometown in his film score for Spike Lee's documentary, When the Levees Broke. Blanchard also appeared in front of the camera, taking an emotional journey back to the city to find his childhood home destroyed. Blanchard continues his story on the aftermath of Hurricane Katrina with his latest CD, "A Tale of God's Will (a requiem for Katrina)." He plays from his new CD in studio 4A with Brice Winston on saxophone, Fabian Almazan on piano, Derrick Hodge on acoustic bass and Kendrick Scott on drums. 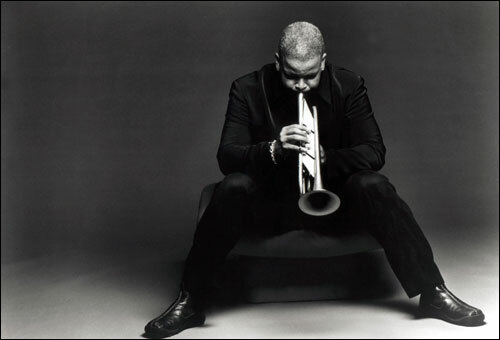 After the destruction of Hurricane Katrina, jazz trumpeter and composer Terence Blanchard committed himself to help contribute to the rebuilding of New Orleans. Blanchard puts down his trumpet and sits down solo at the piano. 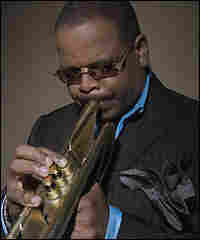 I met Terence Blanchard more than a decade ago when I returned home to New Orleans. I was an unemployed English major (insert joke here), as well as a volunteer disc jockey at WWOZ in New Orleans. Blanchard was already a leading figure in jazz and film music: He had a recording deal and he wrote for television and film soundtracks. I must have played his CD, Jazz in Film, more than anyone. I can still hear those amazing jazz versions of classic cinema — saxophonist Joe Henderson tearing up Andre Previn's The Subterraneans, Blanchard and his Art Blakey cohort, Donald Harrison, reuniting on Alex North's theme to A Streetcar Named Desire, and the late Kenny Kirkland's gorgeous piano intro to Chinatown. Two years ago, I sat in my apartment and watched my city drown. Hurricane Katrina affected my family, and they're still recovering. I remember when Spike Lee's documentary, When The Levees Broke, aired. I couldn't bear to watch the story unfold again. When I finally watched it earlier this year, one of the film's most poignant moments involved Blanchard leading his mother through her house. Fast forward to the present. I was working on a documentary about the Monterey Jazz Festival, and I asked Blanchard to narrate the show. Since I had him to myself in the studio, I seized an opportunity to talk to him about his music for the Lee documentary. I also asked him to play the piano, because that's how he writes much of his music anyway — just simple, unadorned melody, harmony and rhythm. Blanchard's A Tale of God's Will is some of the most expressive art I have heard from him. From the opening (a summoning of the "Ghost of Congo Square") to the end (a personal letter called "Dear Mom"), this recording reveals what many jazz fans know: Blanchard is a powerful storyteller. He doesn't need words to express anger, frustration, heartbreak, resolve, hope or love — just a trumpet. Blanchard was one of the first "Young Lions" to develop his own sound coming out of the shadow of Wynton Marsalis. The trumpeter has played with Lionel Hampton, and even replaced Marsalis in Art Blakey's Jazz Messengers group in the 1980s. Blanchard has also scored and played in a number of Spike Lee movies, including Do the Right Thing, Mo' Better Blues, Jungle Fever and Malcolm X.
Newark, N.J.-based NPR station WBGO has been broadcasting some of the best jazz music in the world since 1979.